You’ve been wrestling with the idea of getting a divorce for months – maybe years. You’ve finally decided that you’re ready. (Or you’ve realized that, ready or not, you just can’t take it anymore!) You know you want a divorce. 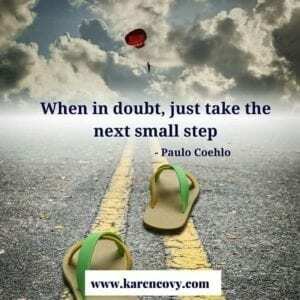 The biggest question you have now is: Now what? While deciding to get a divorce is certainly no picnic, figuring out what to do once you’ve made your decision is no easier. The reason is simple. It affects almost every area of your life. It’s such a ginormous change to so many parts of your life that you don’t know where to start. Plus everything is interconnected. Every change to one area of your life seems to affect some other area of your life. 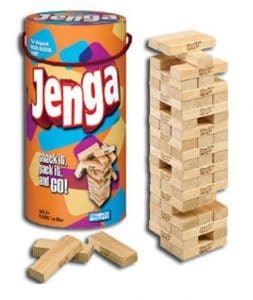 It’s like a giant game of Jenga: if you’re not careful about which block you pull out of the pile, the whole tower can come crashing down! For example, you know that either you or your spouse is going to have to move out of your home. But, in the beginning, you may not know which one of you is going to leave. You also don’t know exactly when the best time to move might be. And, of course, you don’t know how much money will be available to pay the rent no matter who moves. So looking for another place right away seems pointless … unless, of course, that’s what you’re supposed to be doing! The second biggest challenge you’ve got when you’re first facing divorce is what I call “a knowledge gap.” That means, you know you’re supposed to be doing something. You’re just not sure what it is! You’re not sure whether you should be looking for a lawyer, finding a new place to live, trying to figure out what’s going to happen to the kids, or taking steps to safeguard your money. Between not knowing what you should be doing, and feeling like you have to do everything at once, it’s not surprising that getting a divorce can feel overwhelming! 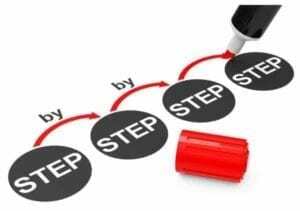 The biggest key to getting through your divorce with your sanity and your psyche intact is to take every part of your divorce one step at a time. No matter how much you try to multi-task, the truth is: you can only do one thing at a time. Trying to do everything at once overwhelms you! When you try to do everything, you end up doing nothing. Plus, you exhaust yourself in the process. Of course, it’s easy enough to tell yourself to only try to take one step at a time. The problem is: how do you know which step to take? While every divorce is different, the process that people go through when they’re facing divorce is surprisingly similar. The first few steps in almost every divorce look a lot alike. What changes is the order in which you tackle these steps. For example, if you (or your spouse) start your divorce by immediately filing papers in court, then you’re not going to have the luxury of trying to get yourself emotionally stable before you start putting together your divorce team. You’re going to need a lawyer now! On the other hand, if you haven’t filed for divorce yet, and you would like to try to make things as amicable as possible, then following these steps in the order shown will likely make your divorce journey easier. Here are the 7 steps you need to take when you are first facing divorce. Start Getting Yourself Emotionally Stable. While getting your emotions under control in the beginning stages of divorce may seem like an impossible task, the sooner you start working on stabilizing yourself, the better off you will be. That’s not to say that you need to become an emotionless robot in order to get through your divorce. You do, however, need to get yourself into a place where you can think. You’re going to have to make hundreds of decisions while you are going through your divorce. You’ll have to decide things as small as when to take off your wedding ring (although that can feel huge!). You’re also going to have to decide things as big as when you get to see your kids, and what you’re going to do with your house. You can’t decide anything when you’re an emotional wreck. The more you know about how divorce works (preferably before you’re in the middle of it!) the more secure you’re going to feel while you’re going through the divorce process. Plus, the more you know, the better your chances will be of getting the outcome you want. There are a ton of myths and misconceptions about divorce. If you believe some of those myths – (like “your lawyer will handle everything,” or “the judge will make sure you get what’s fair,”) you’re liable to get burned. Big time. It may be a cliché, but in divorce, knowledge really is power. Most people are so busy worrying about getting divorced, that they don’t stop to think about what matters most to them in their divorce. As a result, they get blown around like the wind during the divorce process. They make each decision in the moment, without thinking about the impact that decision may have on their divorce as a whole. They have no divorce strategy because they have no divorce goal. Of course, figuring out what matters the most to you in your divorce while your head is spinning and you’re an emotional wreck isn’t always easy. You’re so terrified and confused that you have trouble knowing what you want for dinner, let alone deciding on what’s really important to you long term. That’s why getting your emotions under control first is so important. One way or another though, you’ve got to decide what matters to you if you want to have any hope of getting it. 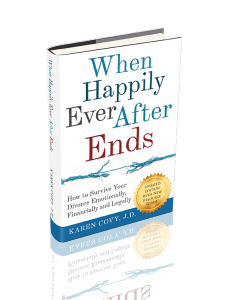 When you’re facing divorce it’s easy to get so focused on what is going to happen to you after your divorce that you forget to think about what’s going to happen to you during your divorce. Unfortunately, getting a divorce can take anywhere from a few months to a few years. Because of that, you need to spend some time thinking about the logistics of your life during your divorce. You’ll need to consider where you’re going to live, and where your kids will live. You’ve got to think about whether your spouse will continue to live with you during your divorce. You’ve also got to think about who is going to pay for what until you’ve finally separated. There are a ton of small, mundane details of life that you and your spouse have got to either figure out or fight about before you’re anywhere near the end of your divorce. Either way, the more you can get the small details of your life during divorce under control, the more mental and emotional bandwidth you will have available to deal with the bigger issues you’re facing. Start Collecting Your Financial Information. 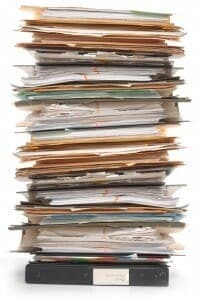 The amount of paperwork you need to compile to get through your divorce is often measured in feet rather than inches. (Although, if you keep your records electronically, your pile may not look quite so high!) The sooner you can start collecting and organizing that paperwork, the more smoothly your divorce process is likely to go. You also want to start collecting your financial information sooner rather than later. Unfortunately, it’s not unusual for important paperwork to disappear during a divorce. Whether one spouse is trying to hide information, or just make his/her spouse’s life more difficult, doesn’t really matter. The end result is that collecting paperwork once a divorce is filed is often a much longer, rougher process. The smartest thing you can do when you know you want a divorce is to gather your financial information and start putting it in order. Plan When and How You Will Tell Your Spouse You Want a Divorce. 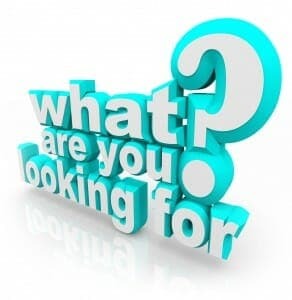 One of the most difficult discussions you will ever have in your life is telling your spouse that you want a divorce. It’s also one of the most important discussions you will ever have. Why? Because the way you break the news that you want a divorce to your spouse will dramatically affect how your divorce process goes from that point forward. If the first time your spouse learns that you want a divorce is when s/he is served with divorce papers, you are setting yourself up for a fight. The same thing is true if you tell your spouse that you want a divorce in any way that is angry, callous, cold, or insensitive. How you treat your spouse from the beginning will set the tone for how your divorce moves forward. Begin Putting Together Your Team. If you want to give yourself the best chance of getting through your divorce without completely destroying yourself, you need to put together a proper team. That team will be there to help you and to support you all the way through your divorce. No matter who is on your team, or how large or small it is, there is one thing you need to always remember: No one should go through a divorce alone. Once you know you want a divorce, the most important thing you can do is to get yourself moving forward. But, acting rashly, or doing things when you don’t know what you’re doing is a mistake. Taking the wrong first steps in divorce will end up making your divorce more contentious, expensive and drawn out. But, doing nothing is not an option either. So, what’s the answer? What do you do after you’ve decided you want a divorce? You go through these first 7 steps one by one, one step at a time. A Divorce Checklist can help you know what information to collect and how to prepare for your divorce. You can get your FREE DIVORCE CHECKLIST NOW. Just CLICK THE BUTTON below! Karen, you are awesome, thanks for the advice. Unfortunately, my soon to be ex wife will not read anything. But having foud you makes me happy positive and optimistic that all will end well. I have bent over backwards for her but it’s never enough Fortunately I’m in a community property state and 50/50 is the law. No minor children but we have three buisnesses together that she would destroy in a ouple of months as she refuses to work 40 hours a week in her own business. You are an angel and cannot thank you enough for you advice. You are so welcome! I’m glad my articles help! This article is great. The start is no doubt the scariest part. Having this checklist gives me an idea of how I should handle this. I have been collecting your guides. Great stuff! I have been a loner for the biggest part of my life. As a child I was extremely shy and never really bonded with anyone. Every person I tried to befriend ended up dominating the relationship. What about where we agreed best choice is divorcing can we do it all paperwork fast? How long your divorce takes depends on you and your spouse. The more you agree, the faster things can go. Exactly how fast you can get divorced depends on the law in the state in which you live. I suggest talking to an attorney in your area to get a better idea of what you may be facing. Also, if time is important to you, you’re probably going to want to get a lawyer. Going the DIY route may be cheaper, but it will likely take longer because you don’t know what you’re doing. An attorney can usually get you through the court system much faster. Think about all your steps before you actually file for it. Kids, alimony, place to live if you are moving out, property, debts etc.